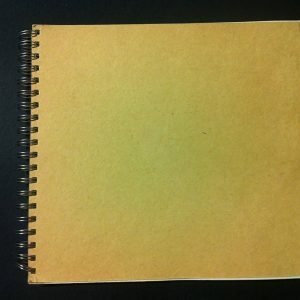 Khadi Paper Hardback Sketch Book HB5W Landscape Smooth 5" x 13"
The best paper for watercolor and ink is important when you’re an artist. From plain wood pulp derived paper to cotton based paper, the most important factor in paper selection is what makes the artist’s work their best. What will work for the artist boils down to what material they prefer. If you are an artist who enjoys conceptualizing, a sketchbook is paramount. 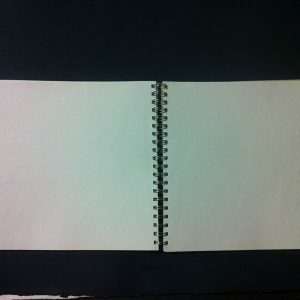 Sketchbooks allow an artist to place the ideas of their work onto a page, or gives a space to create unlike any other. 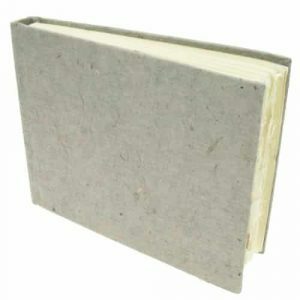 At Canvas ETC., we carry premium bound khadi sketchbooks in variable sizes for just that. Sketching is a long time hobby and passion for most artists. Sketchbooks date back to the beginning of time; some of the first sketches done happened upon stone or on parchment made from animals like sheep or goats! Basic sketching began as an approach to place ideas onto a medium. Ink itself was made from many items found in nature like berries or even graphite rock. To this day, many offerings of ink become obtained from natural things like plant matter and minerals. Sketching brought shape to a creative person’s overall concept of their work. It also allowed for a final product. Many people turned to sketching as a form of documentation as well. All in all, the need for a good sketchbook was key throughout time. It served as the timeline for an artist’s overall art journey. Leonardo Da Vinci: Leonardo Da Vinci is most famously known for his two pieces The Last Supper and Mona Lisa. Each piece is oil on canvas, but Leonardo was also a sketch artist with various art materials. Vincent Van Gogh: Van Gogh is not only known best for removing his own ear, but he also created famous paintings like The Starry Night and Bedroom in Arles. This Amsterdam based artist worked first with watercolor paints, but then painted with a vast art supply later. Francisco Goya: Known just as well as Van Gogh or Da Vinci, Spanish born artist Francisco Goya created his artwork between Italy and Spain. He’s creation of La Maja Desnuda caused an uproar in the world for it’s realism and in your face frankness of the human form. His sketching helped him create some more well known paintings such as the The Colossus or The Second of May, 1808. Pablo Picasso: Arguably one of the more famous painters of the 20th century, Picasso’s expressive drawings and paintings made for famous works like The Old Guitarist. At his death, 45 of his 175 sketchbooks became released from his estate and put on display in a New York City gallery for the world to see his musings. The world’s most famous painters and artists have relied on sketchbooks! No matter the medium, sketchbooks assist an artist to elevate their artwork overall. While there are so many paper styles to choose from, there are options that stand apart in elevating your artwork. 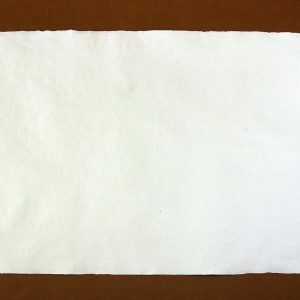 Some of the best paper for watercolor and ink is made from khadi sheets. 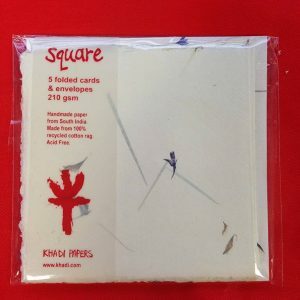 Khadi paper is made by Indian artisans for aspiring creatives. This fine paper is great to use as watercolor paper. Drawing paper using ink with watercolor works well with khadi cotton rag paper too. 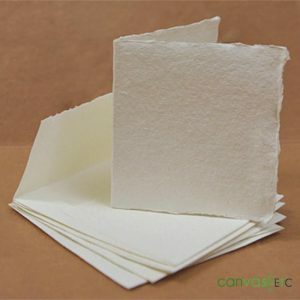 Watercolor paper is usually supplied as cold press paper or hot press paper. 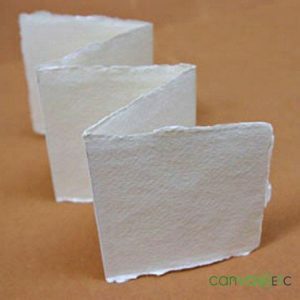 Paper that is cold pressed develops a slight rough surface, nicknaming it “goosebump” paper, while hot pressed sheets have a smooth surface. Khadi paper offers itself in both varieties for the budding water-colorist! For those who like pen and ink for ink drawings, khadi paper adheres to this material nicely. 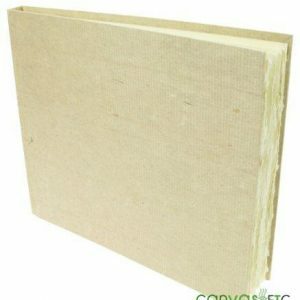 It is also durable and longer lasting than regular traditionally made paper from wood pulp. 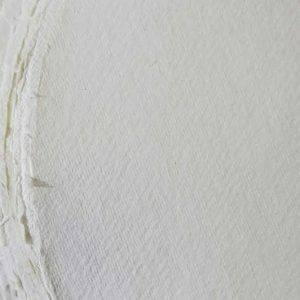 So, khadi paper has made a name for itself as the best paper for watercolor and ink. 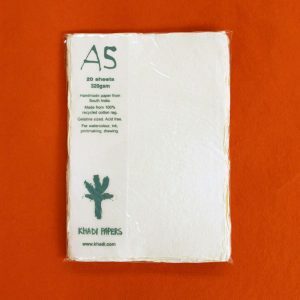 While there are great options, this cotton rag paper works very well for many budding and expert artists. 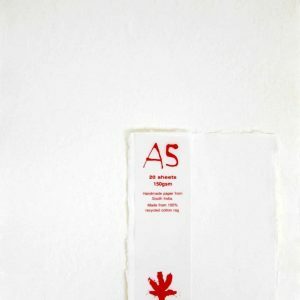 The best paper for watercolor and ink goes well with many different forms of art supplies. 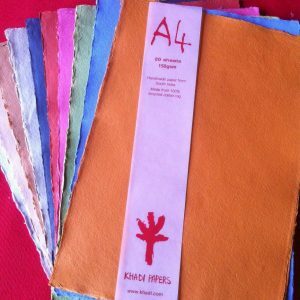 No matter if you’re a mixed media artist or traditional oil painter, khadi paper works well with many types of art materials! You can apply watercolor washes with watercolor paints, or even do ink work with micron pens. Ink drawings adhere to its sheets with ease! Waterproof inks used in calligraphy work well too. 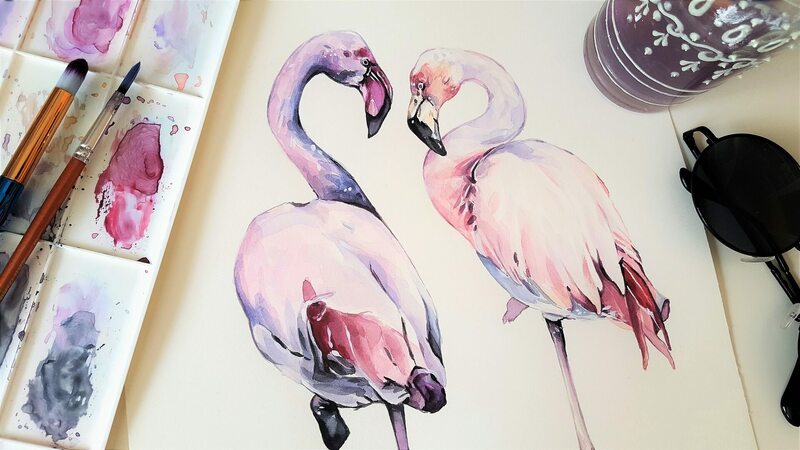 High-quality work is possible when using the best paper for watercolor and ink. It’s stellar for acrylic and oil based painting too. If you paint, you may also use gesso to coat your sheets beforehand. 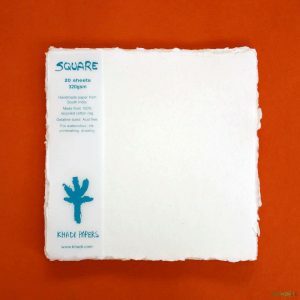 All in all, khadi paper serves any style of artist well! 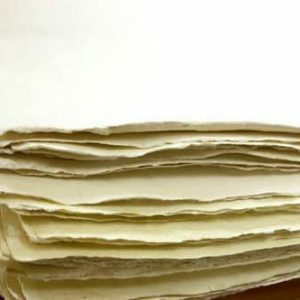 Like other forms of paper, high quality khadi paper comes in various weights and styles. 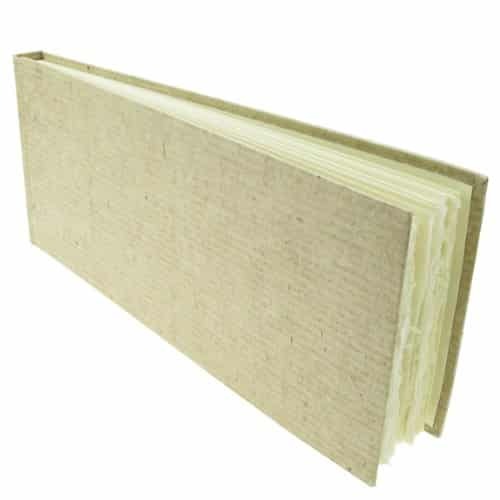 Our paper hardpack khadi sketchbook is great for carrying around to showcase your latest work within! 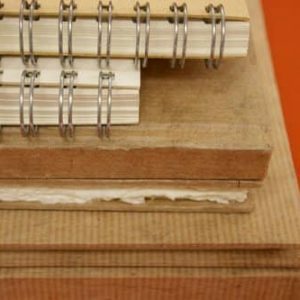 The sketchbook has a smooth texture and is made equivalently to 100 lb. paper, which is a traditional stock weight. The weight of the paper defines the thickness; the higher the weight, the thicker the sheet. 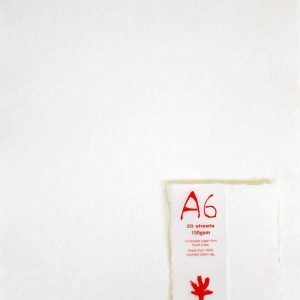 The best paper for watercolor and ink is also variably sized. 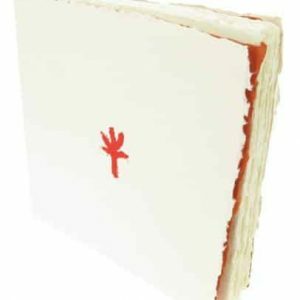 While our HB5W landscape sketchbook makes a great place for drawing and creating art, we also carry various sheet sizes for whatever you desire to work on. Our sizes make all your art projects possible! Papier-Mache© Crafts: Be festive and make a homemade pinata with the help of khadi paper! Since this paper’s soakable qualities are excellent, constructing your own papier-macheÌ© crafts are a breeze. Origami: Relax into the art of paper folding with our amazing khadi paper offering. Make all sorts of creatures and art from paper with these fine offerings! Compost: The best paper for watercolor and ink also works to save the planet! Paper in compost assists in the faster breakdown of matter. Using this natural, acid free paper will help your compost progress. Help your compost and the environment! Personalized Cards: Show someone you care with a personalized card! 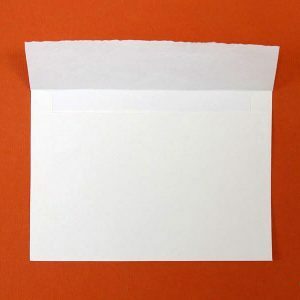 No matter the occasion, this unique type of paper is perfect for showing someone how much you appreciate them. Khadi paper works well anywhere! 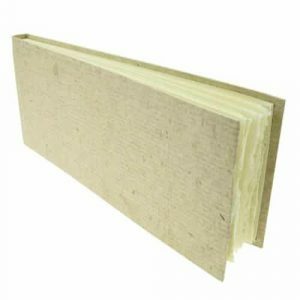 If you are looking to buy it in bulk for numerous projects or want to learn more on how it will work for your next application, contact us and one of our experts will assist you today.